Hello ... Hello ... my old friends ... It's great to see you once again! If her sublime version of ELO's "Mr. Blue Sky" [as featured in this previous ELOBF article] met with your approval, then Alex Miles' new ten song self titled album may well leave you in sonic raptures. 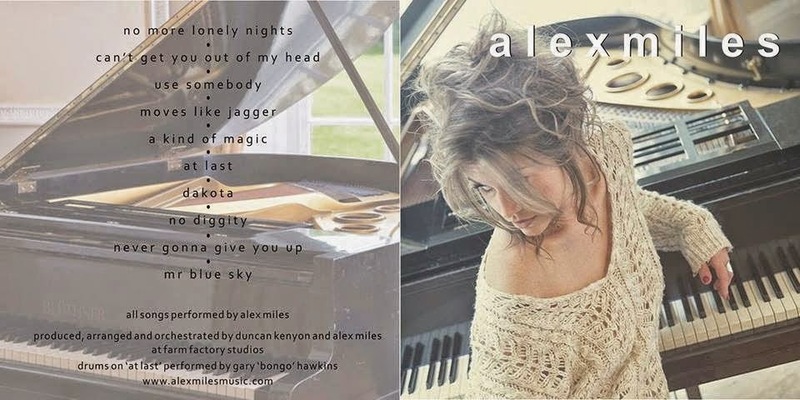 There is plenty to enthuse about with this release as Alex also interprets songs by the likes of Paul McCartney, Kings Of Leon, Queen, Etta James and Stereophonics [amongst not a few others]. ELO Beatles Forever [ELOBF] recommends "Alex Miles" by Alex Miles to those enlightened folks who enjoy the music of: ELO, Jeff Lynne, Roy Wood, The Move, The Idle Race, 'Brum Beat', The Beatles and related artistes. You have a beautiful voice and you did the song justice thank you Alex .